Which Is the Best Life Insurance Company in South Africa? When South Africans think of life insurance, they know that if someone is relying on them financially, they need life insurance. The idea behind life insurance is to ensure that no-one you care about suffers after you’ve passed away. 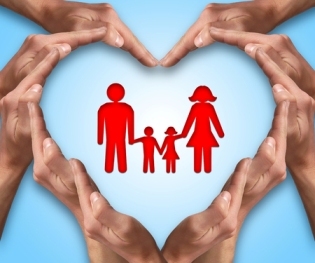 South Africa has many excellent life insurance companies. But which is the best life insurance company in South Africa for you? Decide on how much coverage you’ll need. Review your insurance needs and research information on different policies. Compare the different kinds of cover, namely term insurance, cash value insurance, etc. Make sure you can afford the premium payments. The insurance industry is all about managing risk – for the insurance company and its customers. The insurance company collects money in premiums. Understandably, customers buy insurance to minimise risk, and today there are very few items that can’t be insured. So customers want to rely on their insurance companies to pay their claims.And if they are wise they do research to find the best companies. Triarc Life Insurance – they may be a new insurance company, but they show promise. Their premiums are from R150 a month and include Life Cover, Disability Cover, Dread Disease Cover and others. GuardRisk Life is the underwriter. Sanlam – renowned for having the best life insurance policy. They offer customers great rewards while also providing advice on finances. Also, their customer services are good and their excellent record – been around since 1918 – speaks for itself. Clientele – they offer affordable rates starting at R110 per month, and you get R200 000 accidental death, hospital Cover and dread disease among others. Old Mutual – They have more than a century and a half of experience in the insurance industry. They offer a broad range of products of which funeral, life and disability cover are just some. Outsurance – so confident are Outsurance with their vehicle insurance rates, that they will pay you R400 if the current rates you get from another insurance company are better than theirs. They ensure your premiums stay as-is for the entire year, and if you don’t claim for a particular period, you get 10% of your premiums back. PPS Insurance – affordable, flexible cover for your home and car – many benefits such as free 24/7 roadside assistance, unlimited geyser cover and more. PPS Short-Term Insurance says they offer more than just regular insurance cover – they offer insurance for professionals by professionals. Altogether 80% of members say they are satisfied with PPS. These companies have all earned their reputations because of their good products and services, their excellent pricing and benefits. Also, they are all known as dependable, trusted leaders in life insurance. How to choose the best insurance company in South Africa requires looking at a specialist in the area of insurance coverage. Check out their claims-paying ability and their financial strength. Make sure they specialise in your particular area of insurance coverage. Do they have local offices and are their customer services satisfactory? These companies all have these qualities and are all worth your consideration.